Suitable for all levels, Yin is a meditative form of yoga. We use longer holds in relaxed seated and lying postures to allow deeper layers within our body to be stretched. The slower pace of the class gives an opportunity to explore the meditative aspects of yoga, using techniques such as mindfulness. 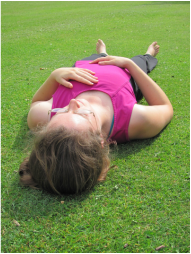 Yin yoga is a chance to step back from our busy daily lives and achieve balance, peace and calm. 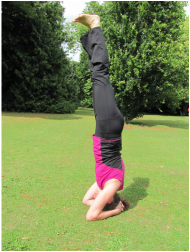 Yoga uses postures (asanas) to lengthen and strengthen muscles. Coordinating these postures with the breath integrates the mind and body, clearing away the stresses and strains of daily life. The careful use of krama, or stages, in this class means that it’s suitable for beginners and more experienced practitioners alike. Expect sun salutations and stretches to evenly work the body, moving mindfully towards the final deep relaxation in savasana. These are flowing classes including a dedicated section for pranayama and/or meditation. The focus of these classes will be self study, understanding yourself better, connecting physically, mentally and emotionally. This type of work allows us to get added benefits from yoga - it becomes more than a way to temporarily feel better, something that can permanently improve our well-being.